The highly comfortable Microfleece jumpsuit is designed for outdoor walks in cold and chilly weather. It is perfect for regular winter walks for short-haired dogs and dogs with no undercoat, and for added warmth for thick-furred dogs in freezing conditions. The overall is a natural combination of an innovative material and state-of-the-art expertise in dog apparel. Familiar from technical sports garments and renowned for its efficient thermal insulation capacity, Microfleece is a completely soundless and pleasantly flexible knitted fabric, especially suitable for dogs unaccustomed to wearing garments. The light and unobtrusive overall protects all your dog’s most important muscle groups as well as the neck and the sensitive abdomen area. 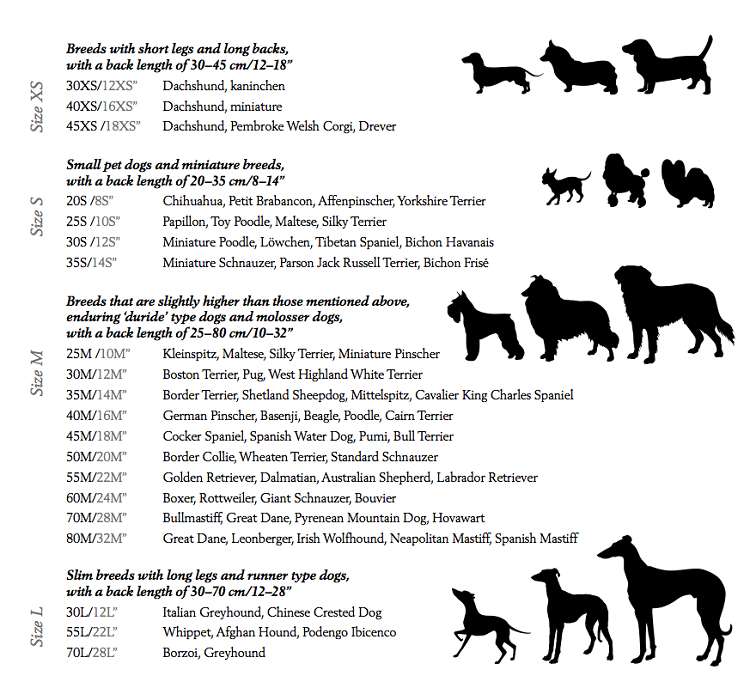 The dimensions have been fully reshaped to cater to various dog body types and to allow movement when running and playing. The sleeves have been left intentionally short to provide sufficient protection to the dog’s muscles without hindering movement. Breathable and porous, the material allows excess heat to pass through and keeps the dog’s body temperature pleasantly stable. 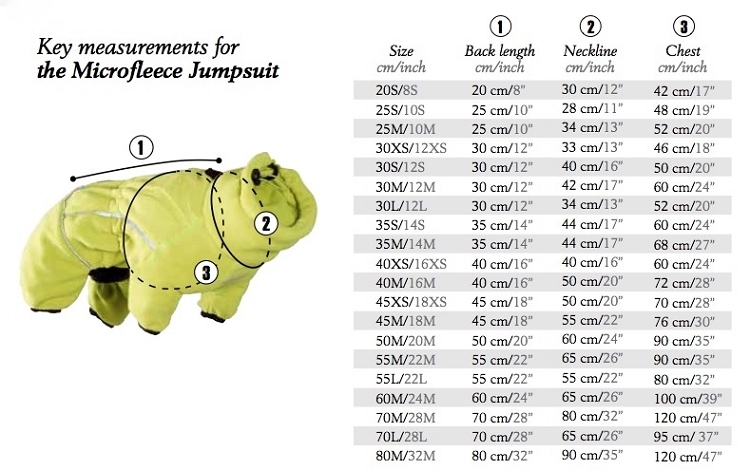 The overall has prominently placed 3M reflectors and a leash opening at the neck.